Micro-irrigation is essential for poor farmers in Central America, since it has the potential to double their yearly revenue by enabling them to farm during the dry season. Even though simple low-cost micro-irrigation technologies have been developed to target especially the poorest farmers, the latter are often unable to provide a lump sum payment in order to purchase such technologies. Thus, microfinance has a crucial role in enabling base of the pyramid (BOP) farmers to acquire income-generating technologies and hence in contributing to the reduction of rural poverty. Therefore, this thesis analyzes which microfinance products and conditions can be offered in order for BOP farmers to afford micro-irrigation systems in Central America. 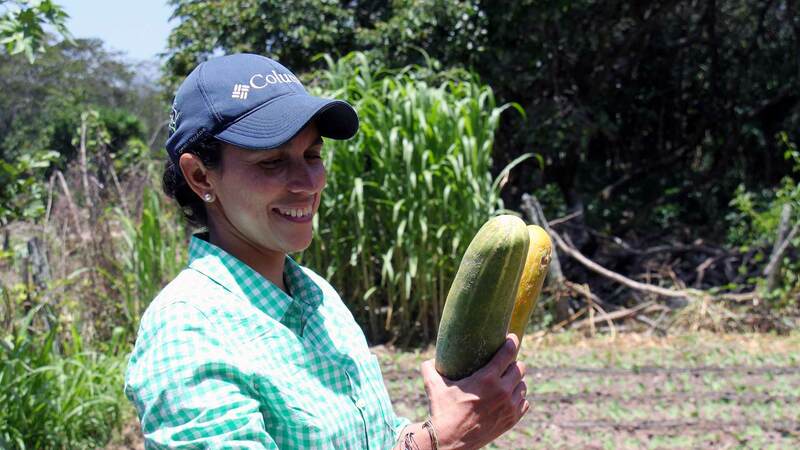 A field study has been carried out in Nicaragua to assess the needs of BOP farmers in terms of microfinance for the acquisition of micro-irrigation systems and the supply of microfinance products for this target group. The outcomes of this study suggest several obstacles preventing BOP farmers from getting access to microfinance products in Nicaragua, such as the necessity for clients to provide collateral in order to be granted a loan, the high loan interest rates required by microfinance institutions, the scarce availability of microfinance services in rural areas as well as the lack of comprehensive solutions combining financial products with agronomic and technical advice. Building on these shortcomings, four case studies providing innovative solutions are presented. These include a partnership for a micro-leasing agreement, a lending approach supporting the whole supply chain through strategic partnerships, the provision of microfinance together with agricultural development services, and the linkage of community-based organizations with formal financial institutions in order to reach farmers in remote areas. Subsequently, based on these case studies, solutions are presented that target especially BOP farmers desiring to acquire a micro-irrigation system in Central America. Of particular interest are the provision of credits to micro-irrigation retailers, who offer packages to small farmers containing farming inputs, advice services and micro-irrigation systems, as well as a micro-leasing agreement between a microfinance institution, a micro-irrigation provider, and a cooperative of producers. Finally, this thesis points out different enabling factors for such products to be widely available, such as the readiness to build partnerships with different institutions, a favorable legal framework, and the promotion of fair interest rates through financial transparency.